A screening of the film Aluna, a documentary about the Kogi tribe, will be taking place at 7:30 on November 17, 2015 at Laemmle's Royal Theater in West Los Angeles. 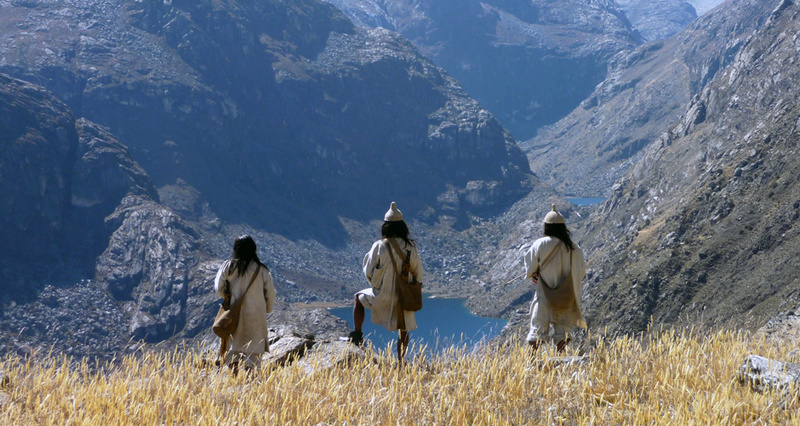 In 1990, British filmmaker Alan Ereira made a film, about the Kogi tribe of Sierra Nevada. Hidden on an isolated triangular pyramid mountain in Colombia, the tribe had reluctantly been drawn into the modern world, to warn about the detrimental effects of mining and deforestation. Twenty years on, and they have re-emerged, and their message is even more urgent: we are destroying the earth. The Kogi believe that they live in order to care for the world. By connecting with 'aluna', a cosmic consciousness, they keep its natural order functioning. Profoundly frightened by what we are doing to their sacred earth, the Kogi are determined to guide us out of darkness. With Ereira as cultural go-between, and 400km of gold thread, they take us deep into their world on a stunning, thought-provoking journey. Watch the trailer and buy tickets here.